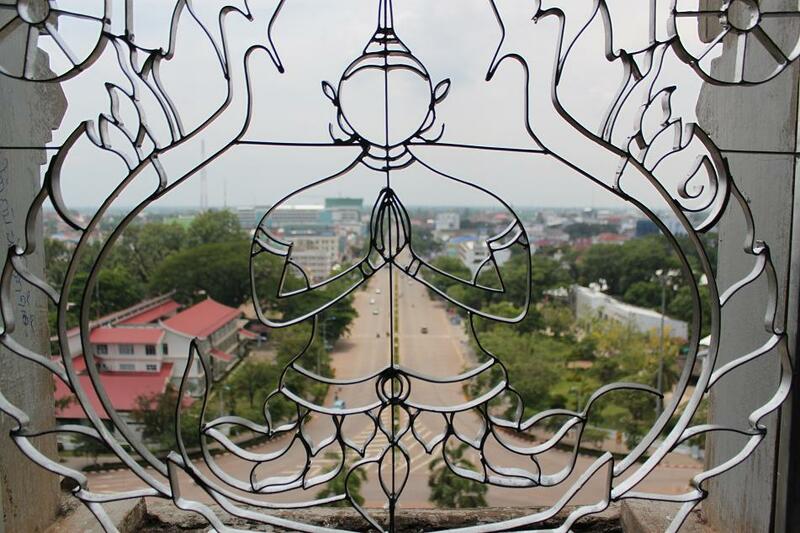 Vientiane: The Rush-Free Capital | What an Amazing World! 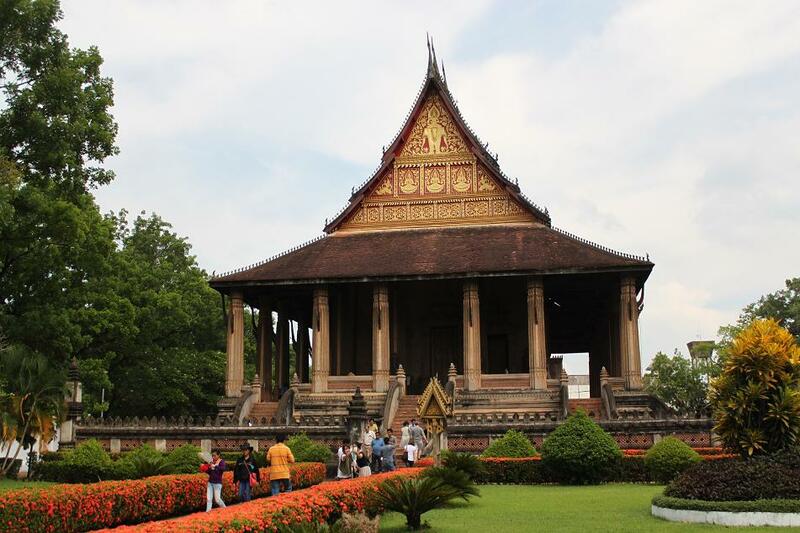 Long before I made my way to Laos I had heard and read about how laid-back the country was. Officially Lao People’s Democratic Republic (PDR), or affectionately Please Don’t Rush, the country did give a very strong impression that we should really not rush into things there. It started at the airport. Unlike immigration check points in other countries, Laos probably practices the least scrutiny on foreigners – more so than anywhere else I’ve been. Even if you need to apply for a visa on arrival, you will most likely get it on your passport within less than five minutes. The customs check point was no different. 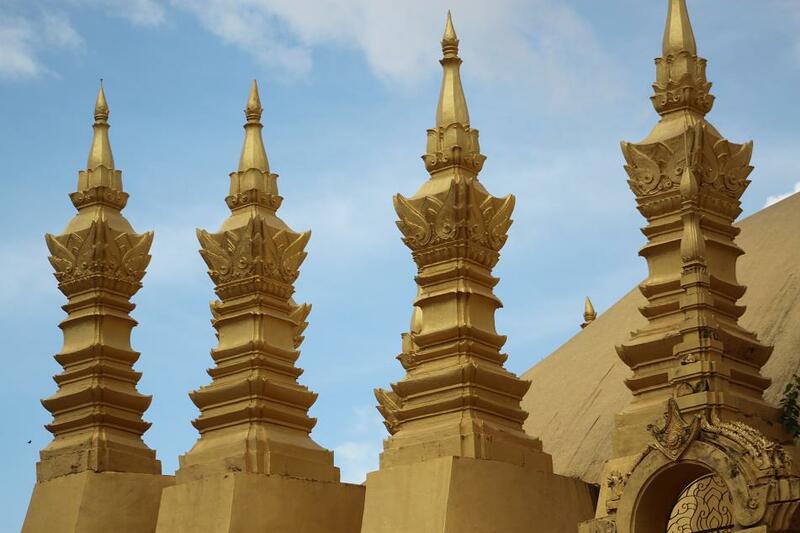 Even though Vientiane is never usually the highlight for most travelers who have visited Laos, the national capital turned out to be quite interesting and has some places worth seeing, or at least for us. 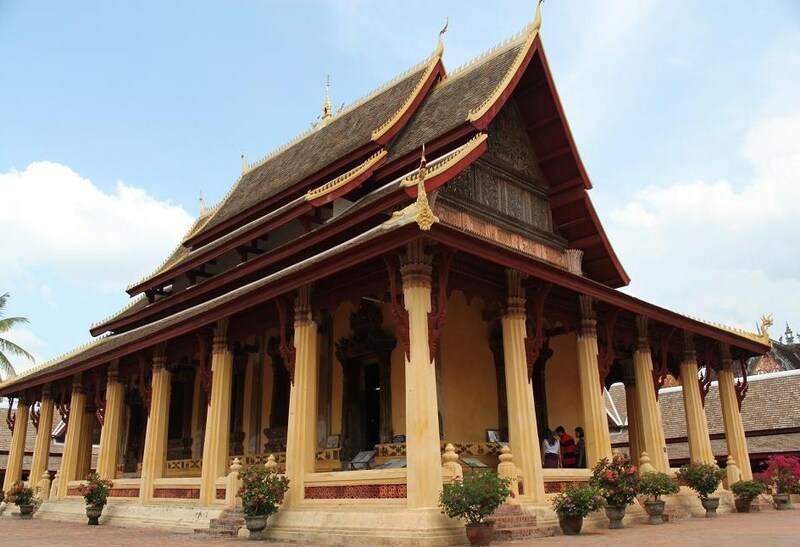 Pha That Luang, Patuxai, the Buddhist temples, the museums and the promenade along the Mekong river bank are the main attractions in the city. If you are on a super tightly-scheduled trip, you can actually cover those places within a single day. However we decided to do it slowly, Lao style, within two days. 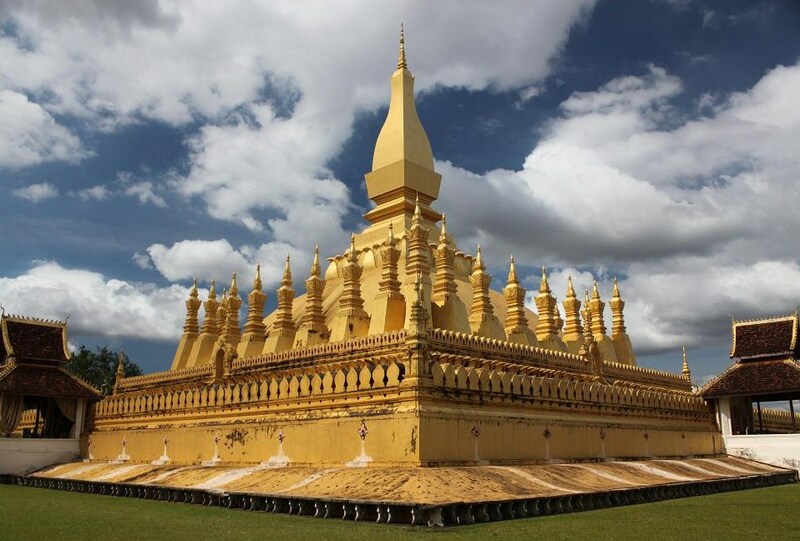 The most prominent site in Vientiane is arguably Pha That Luang, a gold-painted Buddhist monument which is also regarded as the country’s national symbol. Pha That Luang to the Lao is as important as Shwedagon to the people of Myanmar. 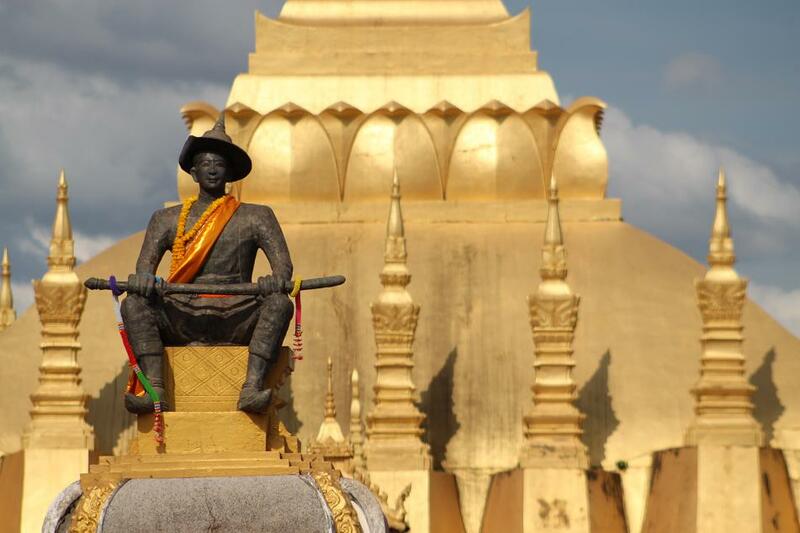 Regardless of the weathered walls around the monument, under perfect daylight Pha That Luang radiates its warmth to everyone visiting – including King Setthathirat himself, albeit only as a statue. 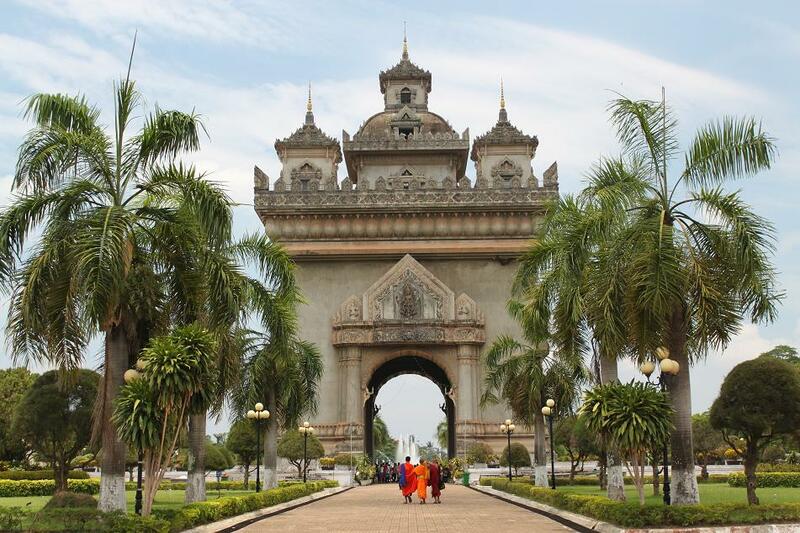 Other prominent sights in the center of Vientiane is Patuxai, a replica of Paris’ Arc de Triomphe, built in Lao style. It was hard for me not to compare the two triumphal arches. 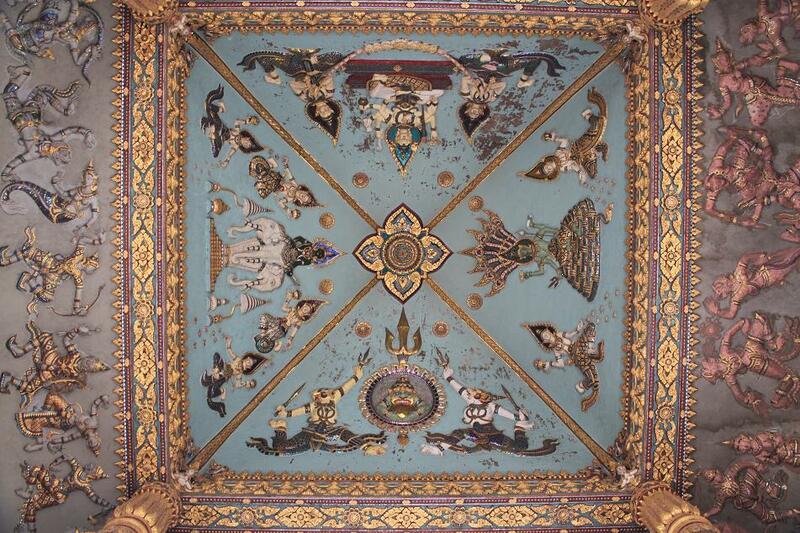 While the size of Patuxai is as striking as its older sister, the latter triumphs for its more elaborate and intricate decorative elements – some parts of Patuxai are just too plain. 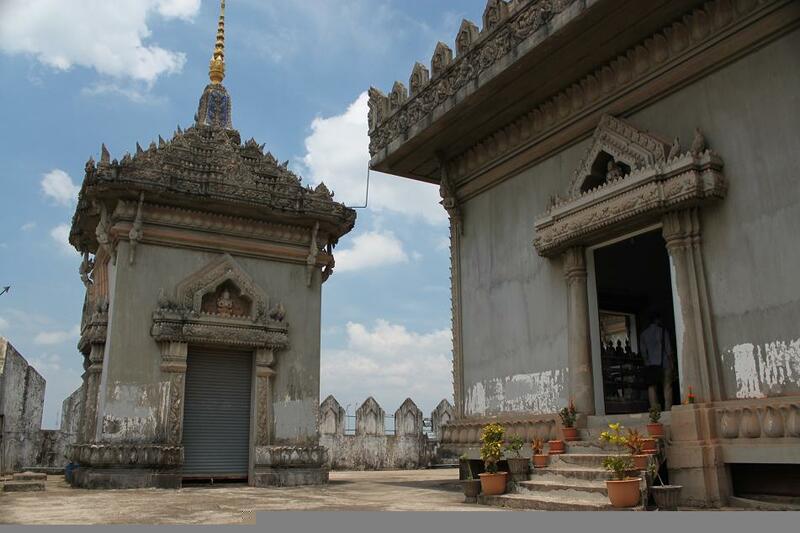 However, the Lao monument is still worth a visit for its bas-reliefs on the ceilings depicting figures from Lao folklore, and also for some carvings of kinnari – mythical half-bird and half-human creatures, omnipresent across Southeast Asia’s temples. 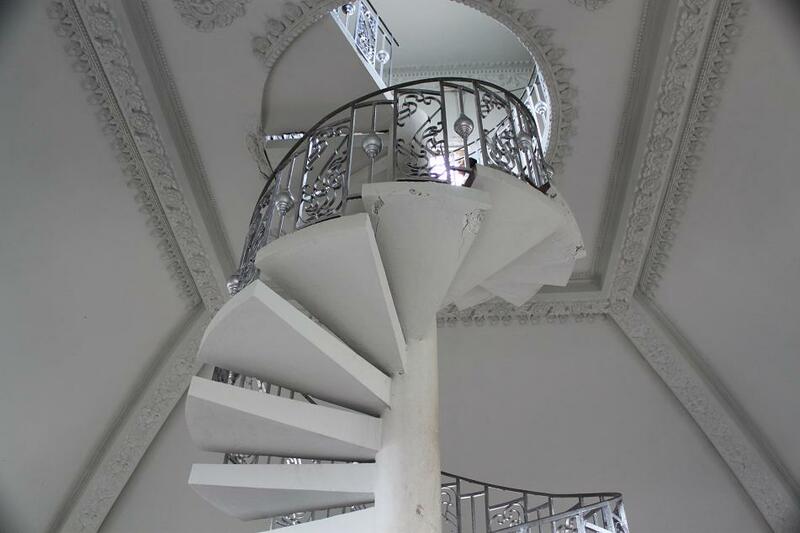 But the main reason why so many people come to this place and climb the staircase to the top is for the 360° view of Vientiane, particularly Lane Xang Avenue – Vientiane’s version of Champs-Élysées. Interestingly, it is said that Patuxai was built using the money donated by the United States which was supposed to be earmarked for an airport. Hence the nickname “the vertical runway”. 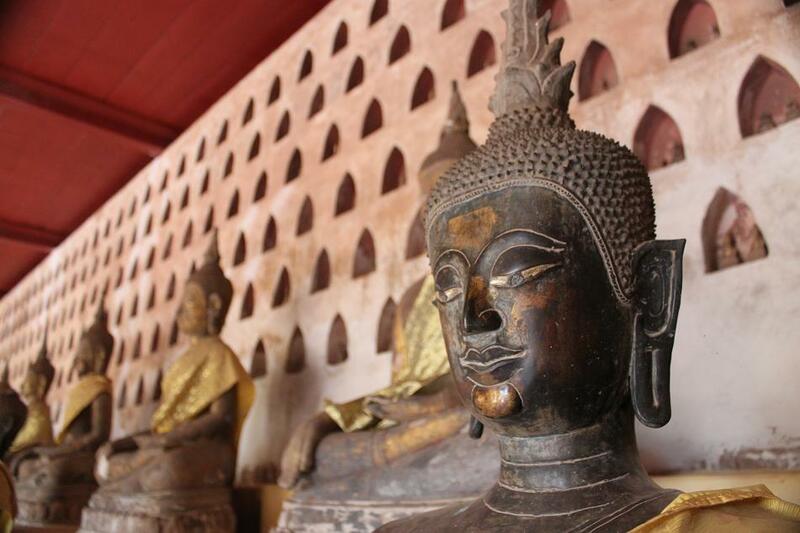 Similar to its larger neighbor, Thailand, Laos is also a predominantly Buddhist country. 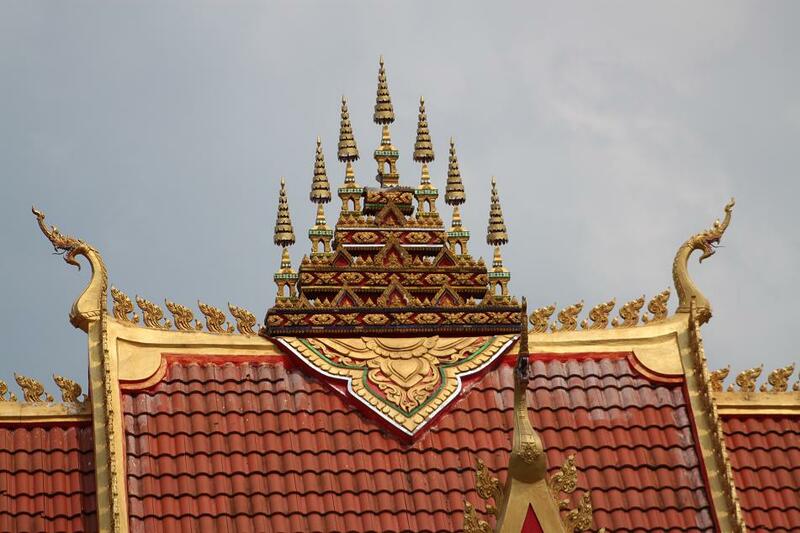 Therefore Buddhist temples (wat) are common sights in every city and region in Laos. We went to Wat Si Saket, which apparently is one of the most important wats in Vientiane, and a museum nearby (Haw Phra Kaew). Despite its rather modest appearance compared to Bangkok’s wats, Wat Si Saket has its own charm and appeal. Apart from the monuments and wats, one thing that I noticed in Laos was the fact that so many new cars (mainly Korean ones) were roaming the streets. It was such a stark contrast to what I saw in Myanmar several months ago where old cars were the dominant sight. Just like China and Vietnam, the supposedly socialist Laos is now showing signs of increasing wealth, especially in the cities. Lao people themselves are also some of the most friendly and interesting people that I’ve ever met. On our first night in Vientiane, James was still having a Delhi-belly syndrome from Kuala Lumpur which made me have to go out for dinner myself. It was only 7 pm but I could hardly find any open restaurants near our hotel. When I walked further I saw this house on a dimly lit street with tables and benches which turned out to be a small restaurant. Hesitantly I came closer and asked the first person that I met in the restaurant. “Sa bai dee! Do you have laab?” my first attempt ever to try the famous Lao dish. The woman looked startled then went inside the house without saying a single word. Not long afterward, came another woman – from her appearance I assumed she was the owner of the restaurant. I asked her the same question. My first attempt to make her understand what I wanted to have for dinner failed. ”Laab,” I tried to say it again, twice, three times, four times, with even funnier expressions as I grew desperate to communicate with the lady. Then suddenly at one point she said, “Oh, laab,” with a distinct Lao tonal voice. Finally she got what what I meant. But my happiness didn’t last long. She uttered some words which I barely understood. “Now it’s my time to get lost in translation,” I thought. “No laab. Only fly lie,” she replied. I must have made the weirdest facial expression I could possibly have mustered. Fly lie? Noticing my puzzled face, she instantly grabbed a laminated menu from one of the tables and gave it to me. As my eyes carefully scanned the menu, I noticed that the first five items were fried rice. Then I suddenly realized it. Fly lie was actually fried rice! I was not really keen on trying something too usual like fried rice. So I politely returned the menu to the table and said goodbye to the lady with a big smile. All in all our experience in Vientiane was more proof of how laid-back the Lao capital is and how nice and interesting the people are. The only rushed moment that we had was when we dashed through the pouring rain – with tipsy heads – to the hotel on our last night in Vientiane. Pingback: Lao Food: I Lao You! « What an Amazing World! You got some fantastic captures at the wats! I especially love the first two of Pha That Luang – the contrast makes them very moody and evocative. Hopefully we won’t be having too much “fly lie” in China! Wow, amazing shots, particularly those of Patuxai! Looking forward to possibly making it out to Laos next year, and this is definitely spurring the excitement. The PDR part is cute 🙂 Thanks for sharing! Thanks! I’m sure you’ll have a great time in Laos next year. But if you go in May as I did, be prepared for the humidity as it is the hottest month in a year! But the good thing is it’s off peak season. What an amazing world there is, in different countries. And I can experience some of it from home. Thanks for sharing, Bama. You’re welcome Bente! Thanks for dropping by! I still have some more stories on Laos though. Thanks Sid! 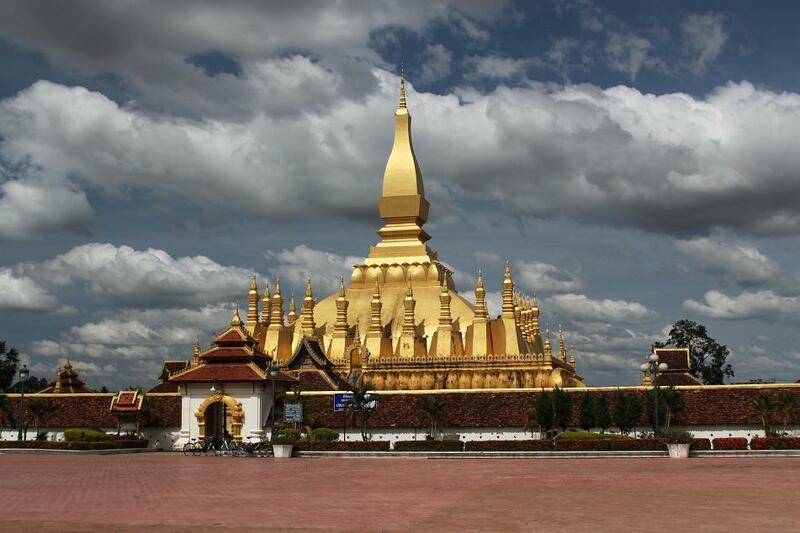 Laos really captivated me, not because it has the grandest wat or the most lavish monument ever. But it’s the simplicity. Well, they’ve put it into their tourism campaign slogan: “Laos, simply beautiful”. What a beautiful place. Now it’s on my list to visit. Thank you. 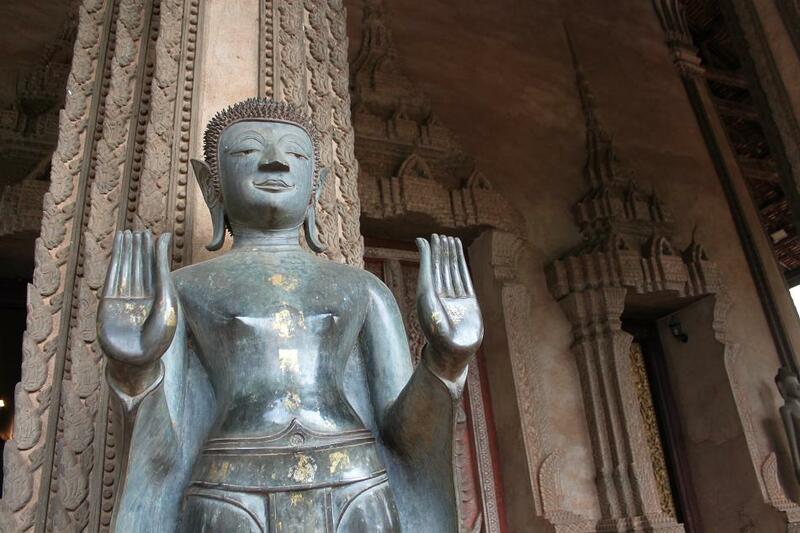 I really recommend Laos as a laid-back holiday destination. Thanks for dropping by! 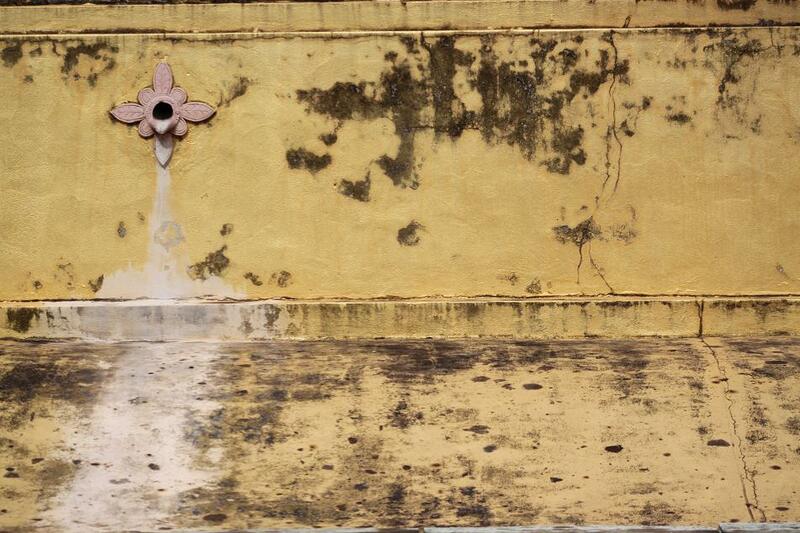 Pingback: The Long Road to Luang Prabang « What an Amazing World! Loving your posts Bama and your superb pictures! And taking notes 🙂 Thanks for the detailed travelogue. I still have some more posts on Laos but since today I’m leaving for Kuala Lumpur and meet up with James again the next day in Guangzhou, they have to wait until I return from my trip. Hi there. Actually of all places in Kalimantan (the Indonesian part of Borneo) I’ve only been to Banjarmasin and some towns in South Kalimantan. However according to my friends who have been to Balikpapan it’s such an orderly and modern city, thanks to the oil industry. I would love to go to East Kalimantan (where Balikpapan is) one day, but more because of its fabled pristine islands of Derawan. Pingback: Bangkok and the Anglo-French Tug of War | What an Amazing World!